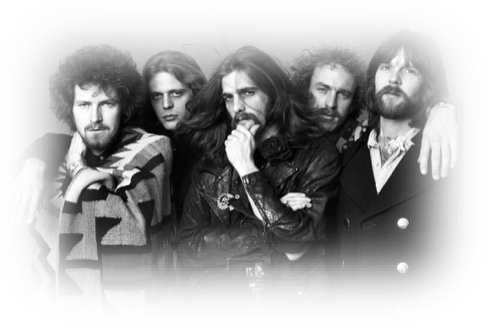 Poco de Todo | Glenn Frey "Take it Easy"
One of the eagles is no longer with us! 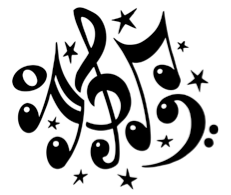 The language that music brings to all of us, have overt and hidden messages. The song "Take it easy" (1st single) needs NO explanation. We all have used the phrase at one time or another. This famous expression is an informal farewell between two friends or simply two people. The expression is also sometimes an informal advice as warranted. There are few people who have not used this phrase; in a special ERA it was as common as "Have a good day." "Do as I say not as I do"…perhaps hidden in this phrase was a wish that Glenn could not keep and/or follow. His artistic ability, love for the music and perfection made him an "aholic" (my own vernacular) in a world of reality and fantasy. I use the word "aholic" because it appears as a suffix in words that most of us avoid, feel that are absolute i.e., workaholic, drinkaholic, etc. In Glenn's unauthorized biography meaning all the things that one remembers about him..Glenn was a Championaholic! He and his circle of EAGLE-BROTHERS created music that made them all CHAMPIONS! The virtues of being a talented musician are rewarded with PERPETUITY! It is unfortunate that names of artists and their work are HEIGHTENED by their absence and less by their presence. AGE is not a state of mind it is a condition that we all feel. Like a trip and having a destination, we all see landmarks that remind us all that we are approaching our destination. As we proceed in life "Taking it easy"… may be the message that we ALL should consider as we wake up every morning! THANKS for the good advise Glenn, you shall be missed, but your music will be just one click away! In 2015 The Eagles were featured a few times on TV. THANKS to our media we can view live shows and also view shows when people are no longer with us. The EAGLES will continue to be part of the "AMERICAN EXPERIENCE." They were one of the music talents that bridged the 60's onto the 70's and beyond. The present youth will vicariously listen to the music, but will not have the sign-posts that we had (65 years+ club) during a special journey. The music we listen during the first 20 years of life is what sustains us in LIFE. We are all wired to remember music from our formative years. It is rare that we are conquered by music that we listen to after we have the first beer, have our first love or other rituals that are meant to happen during a special time. There is a reason why "A generation" is regarded to be a period of 20-25 years. The EAGLES were part of my first 25 years growing up! In my youth I lived in two cultures. The Tex-Mex and the many American Bands and Troubadours such as the EAGLES. Our modest website that is devoted to Tex-Mex topics also embraces the ingredients of LIFE that makes most Tex-Mex people BICULTURAL…hence the inclusion of THE EAGLES! Thank you for visiting…. "Take it Easy"